Vijay TV fame Stalin is a character artist and a notable serial actor. RJ Senthil instigated Stalin to roll in 'Saravanan Meenakshi' to play the role as Meenakshi's brother. The actor who credits Bharathi Raja for breakthrough in cinema has enacted a character role in the film "Muthuku Muthaga". He plays the intimate role in '7C', a serial about notorious class and the way Stalin soothe them. Stalin is remarked to suit Village oriented characters. His performance in '7C' has garnered him more praise. An heart-warming tale of a bunch of underperforming 7th standard students who are transformed into "Champions" under the tutelage of an understanding & encouraging teacher.
" Santhanam as the super support "
of the new era. This citation comes as he turns to be the deciding factor for a film's good run. Whistles blow, Laughter rolls, Sorrow takes a leave - All this during Santhanam's intro. He rose to fame with Director Rajesh's trio comedy ventures SMS, BAB and OK OK which holds Santhanam as the super support. Santhanam has also planned to venture in producing Tamil movies in an unnamed comedy subject with Dr. Srinivasan (popularly known as "Power Star") in the lead role. The actor in an interview expressed his wish to direct Tamil movies in comedy-sentiment subjects. Wishes ! Short Film Director Nalan and his actor Karnan - the success combo ! Nalan (Born: 1980) is a trend setting distinguished tamil short film director whose short films garnered huge response in Youtube. He is best known for participating in a reality show for short films titled 'Nalaya Iyakunar'. Short films by Nalan ~ Nenjukku Needi, Nadanthathu Enna Na, Mudivku Pin, Oru veetla Pei, Thurum Bilum Erupur, Thota Vilai Enna, Oru Padam Yedukanum, etc. Comedy is his weapon. Viewers eulogize his works. 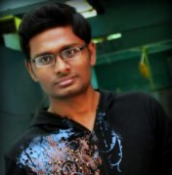 Many aspiring short film makers pose Nalan as their inspiration for his enviable make. 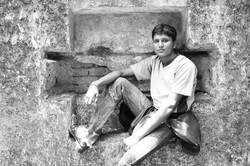 Director Aditya's short film is inspired by Nalan. Read more..
Nalan is my inspiration - Director Kamala Kannan. Read more..
Nalan credits his friend Karnan who has been an integral part of most of his short films as a main cast. Karnan had a demand over other short film makers who wished to cast him. Director Sundar C offered him a small role in his film "Kalakalappu" (Masala Cafe'). Whilst Nalan who has left his family business to take short films hasn't directed any feature film yet. We wish fervent talented Nalan for all his endeavors..
" Analyst by profession, love to do short films in rest time. " I don't have a good quality camera to shoot HD movies. This really occurs a huge problem for me. My First Short Film: "GHOST"
Dhilip Kumar J received the best Cinematographer award and Jay Vijay received the best Editor award after the screening at PVR CINEMAS. FYI the movie was shortlisted in the TOP 5 movies out of the 200 odd entries.!! Nirmala Periyaswamy is a well known news anchor & artist. Vedigundu Murugesan (English: Bomb Murugesan) is a Tamil language film released in 2009. It stars Pasupathy and Jyothirmayi in the lead roles. 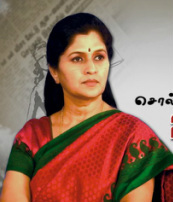 Nirmala Periyaswamy is casted as a judge in the film. 'Solvathellam Unmai', a programme anchored by her is a reality show which is an open stage for people to share issues and a chance to express all their emotions. She tries to help people taking their decision and judgment for their future better. There was a scuffle between Police and media staffs for allegedly hurting a media worker in Zee Tamil Studio at Chennai during the shoot of 'Solvathellam Unmai' programme. Nirmala Periaswamy expressed her regret for the incident. Nirmala Periaswamy is best known for her news reading and the way she spells "Vanakkam". She worked as a news reader at SUN TV which gained her a recognition. "Vanakkam" means "welcome" or "greetings" in Tamil. It is the word that Tamilians use to greet people. VIEWERS CAN SUBMIT ANY OTHER INFORMATION ABOUT NIRMALA PERIASWAMY IN COMMENTS SECTION OR MAIL THEM TO EDITORIAL@CDTV.IN. "Into Share Trading Business and also interested in doing short Films"
" Want to bring a change on the mentality of my people through the screen. " Musical short film "Victorious Flop"
" I'm passionate in film making... "
" Life is not about waiting for the storms to pass... It's about learning how to dance in the rain. " Best Direction for "A A A AA"
CDTV shall not endorse the views expressed by the profile holders.